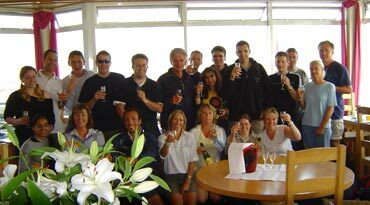 Since 1989 we have been using our extensive team building experience to manage and create professional Corporate Team Building Events throughout the UK. With a client list including BT, Castrol, Sony, Cap Gemini, Logica, GlaxoSmithKline and many more we have established a reputation as one of the top providers of Teambuilding events in the UK. We travel all over the UK running team building activities in the most convenient locations for our clients. We have a 5,000 square foot office and storage building, and a full time staff of dedicated event managers and instructors. Our event staff have current first aid qualifications, plus we have a health and safety manager and a £5 million all encompassing insurance policy. We take our team building business very seriously, and invite new clients to visit us to see first hand the infrastructure that enables us to deliver events all over the UK. A wide range of locations and venues have been assessed for the purposes of these team building activities. We now have a national and international network of hotels and private estates; plus some more unusual venues including a former RAF camp and a haunted house! Our team building events range from one-off projects, for entertainment or ice breaking at conferences, to full business management programmes, facing change or any other issue which would benefit from a fresh approach. Events can be created purely around team building activities (this is appropriate when the objective is to have fun together and strengthen bonds) or, when there are more specific goals for the event, we can provide a facilitator. The facilitator can link experiences to your business and deliver team building theories such as Belbin, Myers Briggs and SDi. The facilitators with whom we work are all chosen to suit our own approach, professional yet fun and motivating. Although relevance to business is important, all of our team building events have one common feature, FUN!